On 25th October Brian Murphy had the pleasure of receiving a cheque for £500 from the members of the Faversham Darts League. We are extremely grateful to the group for raising this remarkable sum to help further our work. 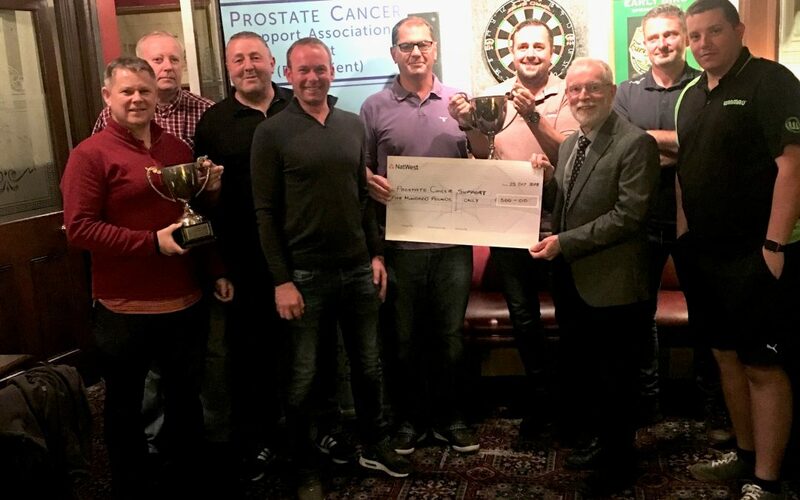 League members were assured that, in helping PCSA Kent purchase new medical equipment for use in diagnosing and treating prostate cancer, they were directly helping to save lives. We look forward very much to continuing our relationship with the League.